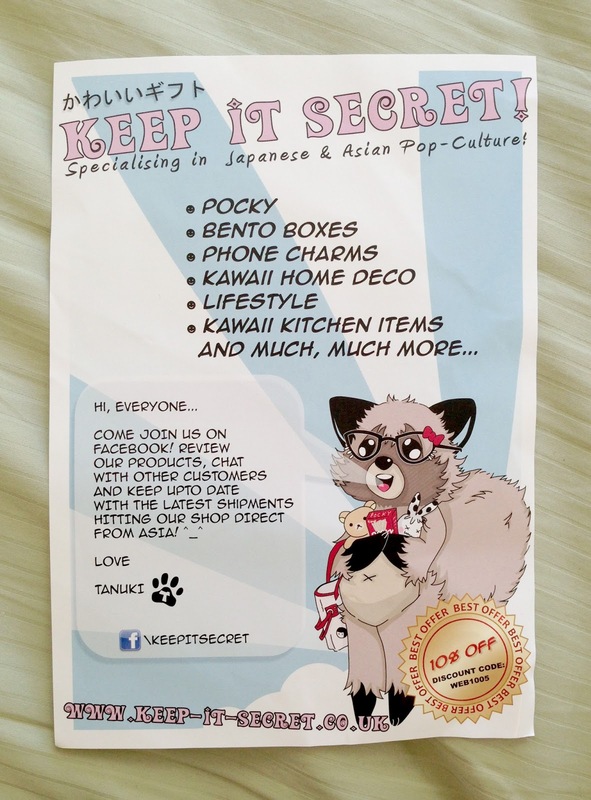 I was sooo excited when my package arrived from Keep It Secret: Kawaii Club International. I could barely wait to rip it open and find out what cute things awaited inside. 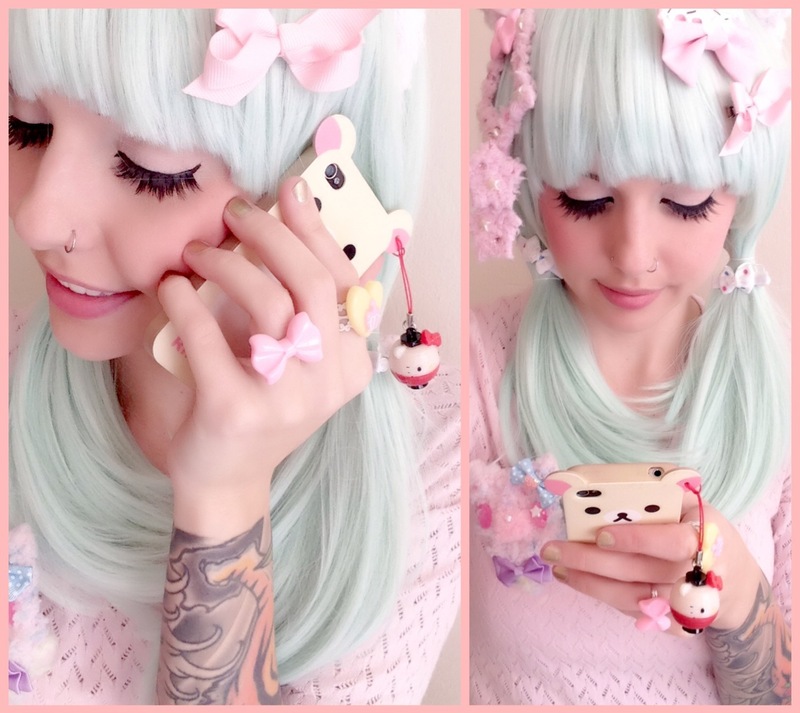 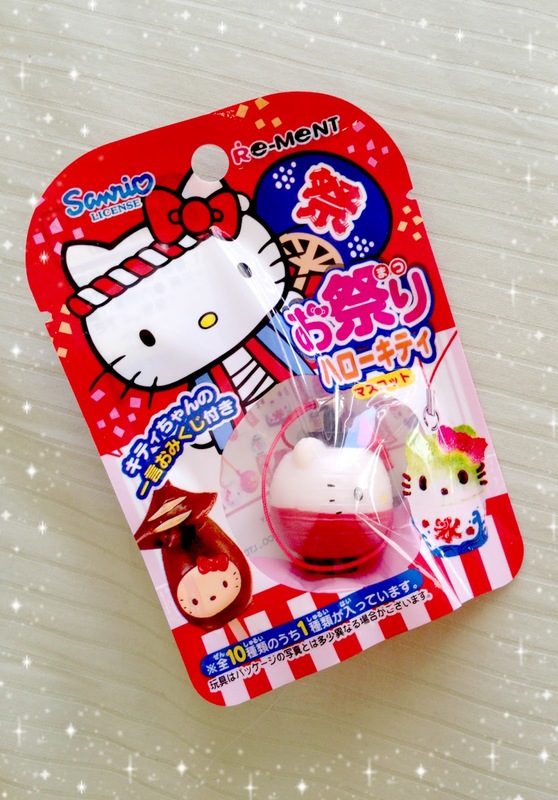 A Re-Ment x Hello Kitty phone charm! Look how cute my little charm is! YAY!!! 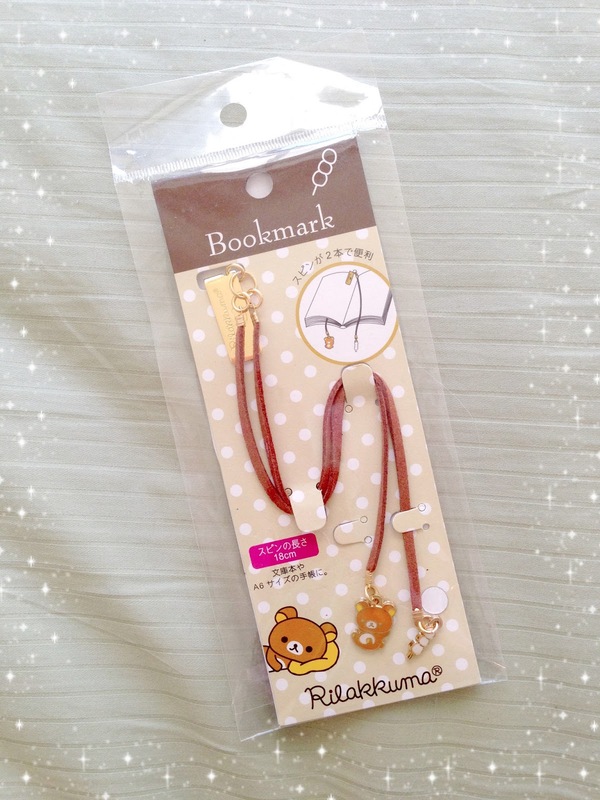 This bookmark has a gold little clip that says Rilakkuma that you put on the page you'd like to save. 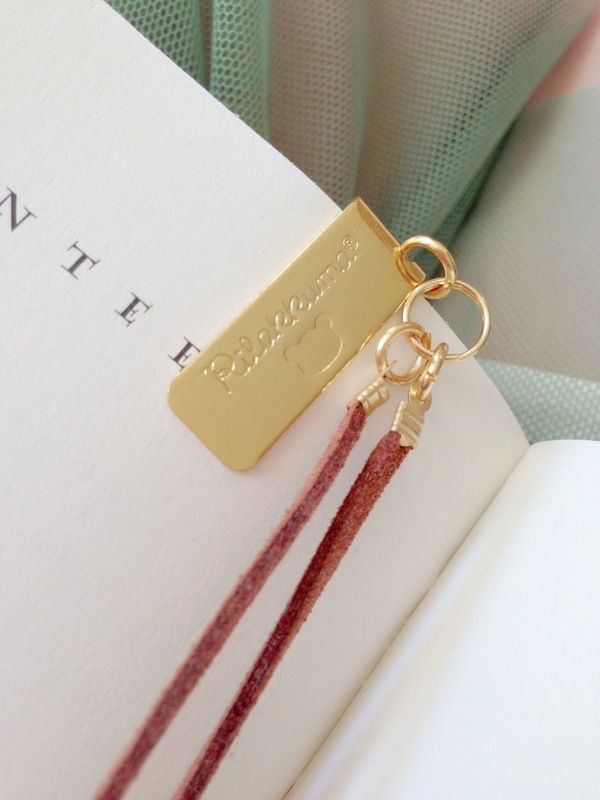 The clip has charms that hang down that will help keep your page and keeps your book looking adorable. 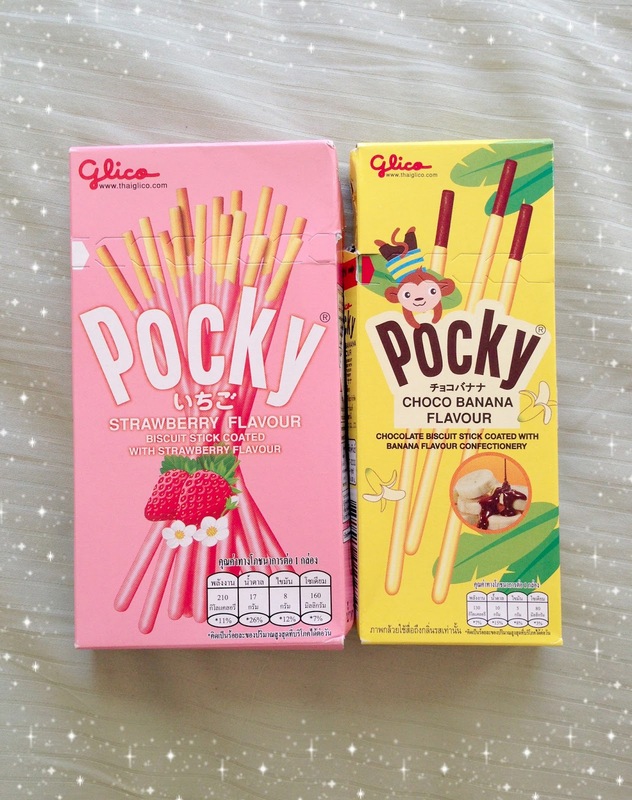 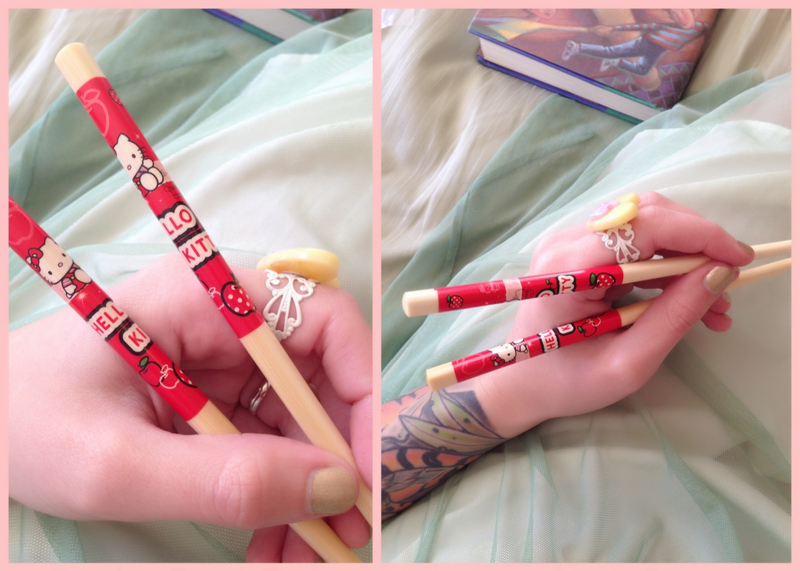 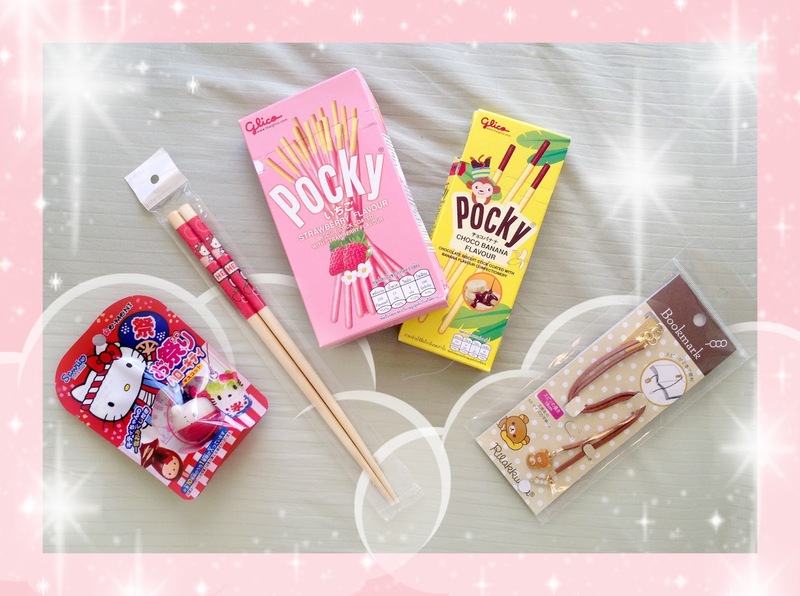 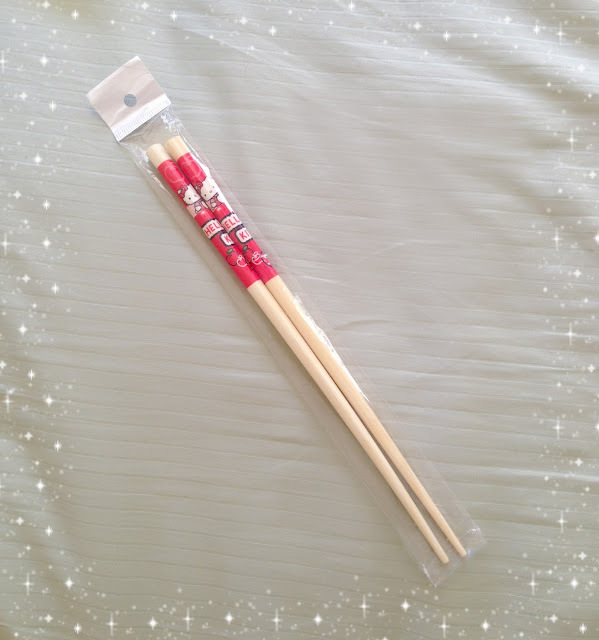 A pair of Hello Kitty Chopsticks!